 Within Ag Tech, we have been working on producing appropriate technologies for developing nations. Because of this, Ag Tech has been building greenhouses (conventional and hot boxes), solar dehydrators (fruit, veggies, and meat), solar ovens, windmills, utilizing solar power, and composting toilets. The list could go on and on. Along with these technologies, Ag Tech can also do home building with local materials, labor, and resources. We hope, one day in the future, to hold seminar classes that can teach people the art of food preservation, backyard poultry, canning, and cheese making.